Cristin's Cookies: Halloween Witch Cookies, A Tutorial and a Free Printable Too! 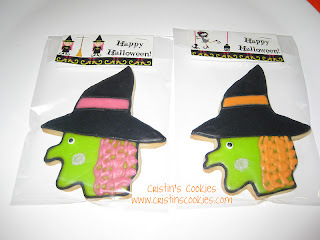 Halloween Witch Cookies, A Tutorial and a Free Printable Too! 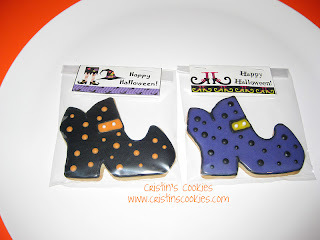 Halloween is right around the corner and I made lots of halloween cookies to show you this week. 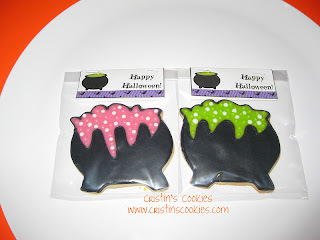 Hopefully you saw the pumpkins, ghosts, candy corn, spiders, day of the dead skulls and also bats from yesterday's post of Halloween cookies and downloaded your free printable for cookie tags. Today's theme is Witches! 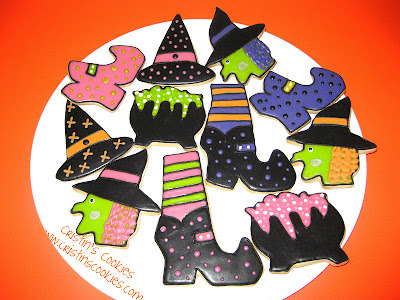 Make sure to scroll to the bottom to get your free printable for today's witch theme to use on your own cookie bags. Here is my fun witch cookie platter. and some extra dough on top of your cookie and mush it together a bit so that it won't break in baking. I used a pizza cutter to make it even with the shoe so that it would be very stable. 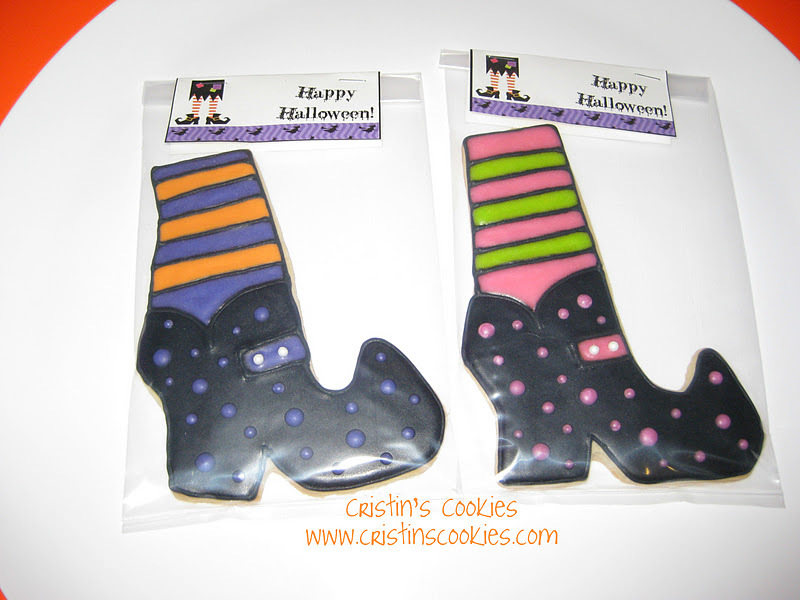 After that is baked together, then outline your shoe as you normally would and make lines for your witch stockings. Fill and decorate as you wish. 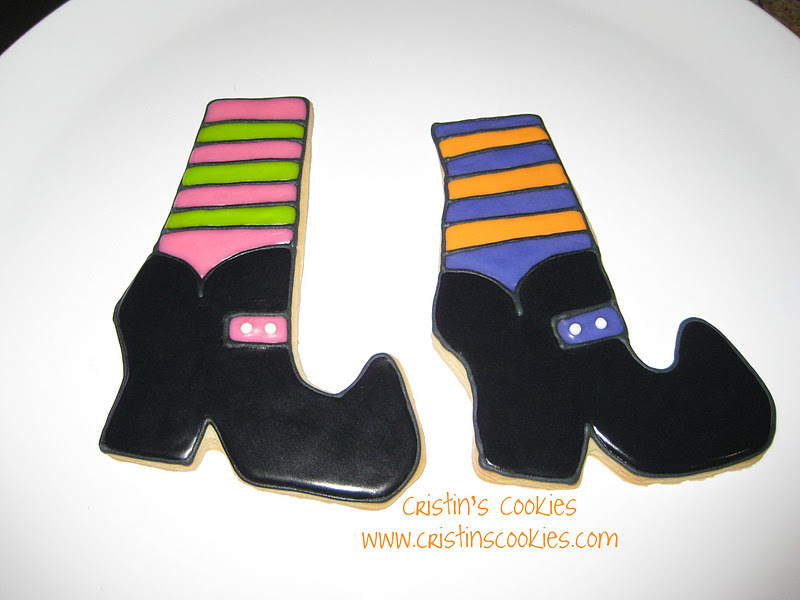 I, of course, was very excited to make pink and lime green stockings on my witch leg cookies ;-) The other one is a really pretty purple and orange, but my camera doesn't photograph purple for some reason and it always comes out looking blue. The actual cookie is much cuter. You'll just have to take my word for it :-) I also added some pearl candies to the shoe buckle. and here it is, the thing you've all been waiting for. Tell me honestly. Do you just want the clipart or enjoy seeing all the cookies too? I posted some halloween cookie pictures on my personal Facebook page last night and said "I have 54 halloween cookies at my house, jealous?" and one of my friends told me that I'm a cruel woman ;-) I have pink hair and it's witch season, what did she really expect? 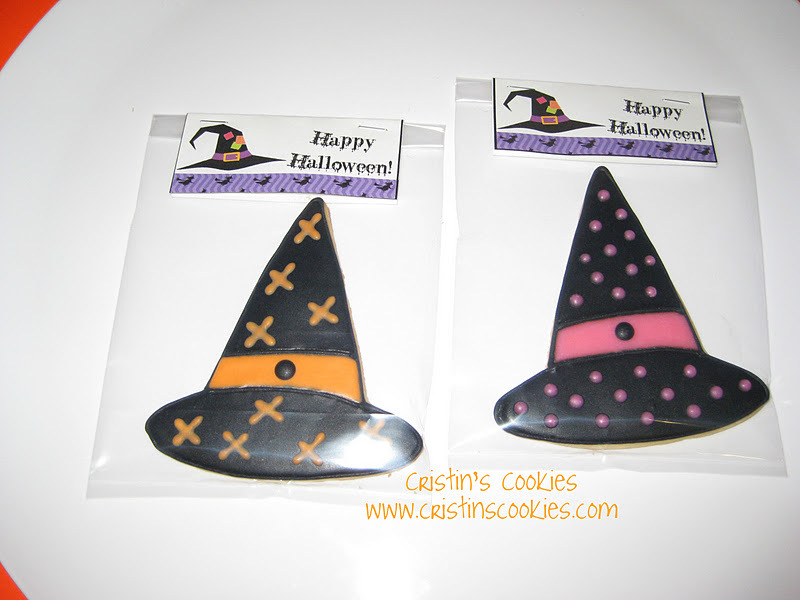 ;-) Just click on the picture below to download your very own witch cookie tags. Enjoy! Cute cookies! Love your pink hair :) Pink is my favorite color.....wish I could find a way to get sparkles in my hair haaaa. 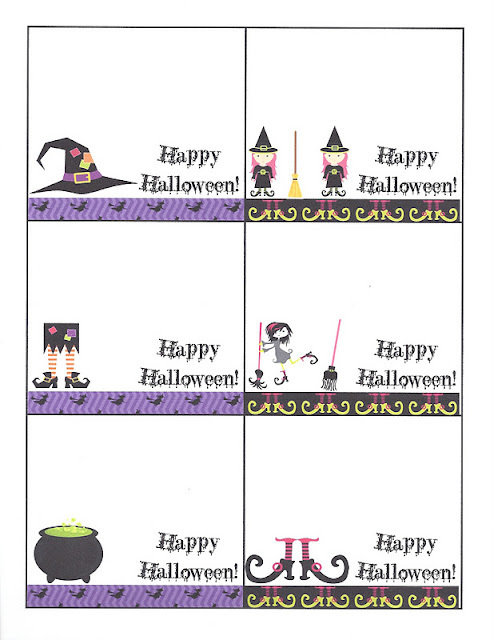 Cute clip art too. I just started making my own tags and such. What programing do you use? @GiselleThanks for your kind comments Giselle! I was using Scrapbook Deluxe for my cookie tags, but my OCD brain decided it works better with Microsoft Excel because then all the boxes are specific and exact for cutting purposes. Since I can't share the Excel files on Box.net (they are too large with all the graphics), I then create a separate document in pdf form specifically to share and I scan it to get a jpg of the document to show on my blog for people to download. I was just making the jpg file to share, but I found those don't print nearly as crisply as the pdf file and it seems to be working for everyone. I love having the tags match the cookie design, so I enjoy making them. I'm glad to hear that pink is your favorite color too. And if I recall from your posts, we both have sons turning 18 soon! Your Halloween cookies are such fun, so is your pink hair (you have more nerve than I do) and you funny sidebar animation. Oh yeah, love you new background too. Your free printables are always a nice bonus but pictures of your cookies are the best. Than you. Is Your Man A Handyman?